I was given a Nokia Lumia to try out as part of the Lumia Switch! All views are my own and your views and/or experiences may differ! Thank you! As some of you may have noticed, I have recently switched my phone over to a Nokie Lumia 830 as part of the #LumiaSwitch, which you can follow on Twitter and other social media. So far I absolutely love the phone, which comes with windows and is incredibly easy to navigate, but even more so when I realised just how useful the OneDrive is! Instead of worrying about wires, or fiddling with SD cards, I just upload pictures or documents from the phone and place them straight on the OneDrive and then have access to them wherever I am, which not only gives me smooth access but frees up space on my devices as I am no longer hording photos or documents on my main machine/s! Working on my blog, for instance, I have a post coming this week for a hair care product and it was so simple to take the photo on my Nokie Lumia, upload it to the OneDrive, edit it in a program on my Chromebook after accessing it through said OneDrive and then uploading it right back to One Drive to access on my phone to be able to share with social media on the go, or to upload straight to blogger or wherever it needs to go - easy! Here is my OneDrive with my original photo, uploaded from the phone, then downloaded to my computer, edited then uploaded right back to OneDrive and ready for use anywhere! 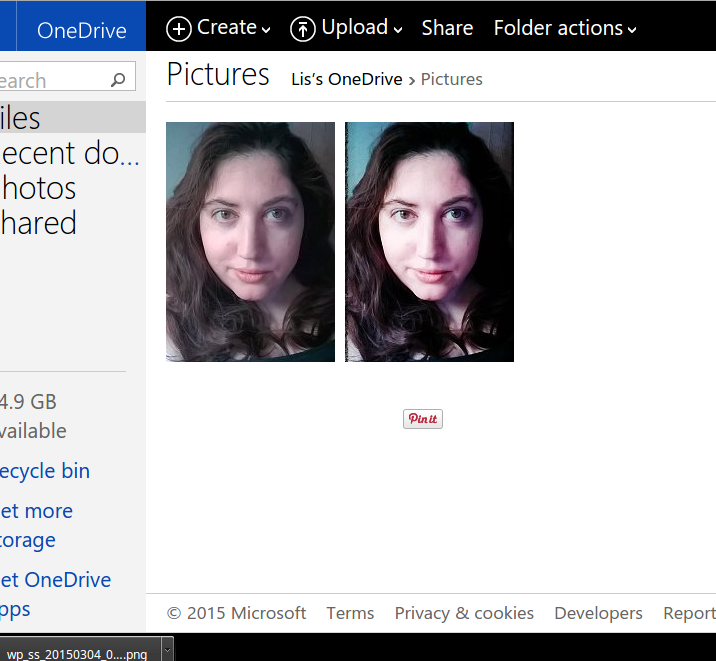 My set-up is almost wire-free these days and the OneDrive is certainly a big part of that for me! Definitely a big plus when I am on the go and working on something at the same time! Check out the Lumia buzz on Twitter with the hashtags #LumiaSwitch and #LumiaLovelies and get in the know! Let me know if you already have a Lumia and tell me what you think! I'd love to hear from you!